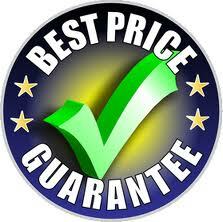 ALSO, get a reduction in price on Epic Home Cinema Seating. 3 Year prime support warranty included! Imagine the fully immersive cinematic quality of 4K in your own home. 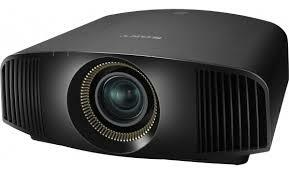 The VPL-VW500ES home cinema projector gives you a 4096 x 2160 resolution picture, over four times better than Full HD. It’s just like being at the movies. The exceptionally high dynamic contrast ratio of 200,000:1 with 1,700 ANSI lumens brightness produces stunning detail and rich, faithful colour – even in well-lit rooms. While more and more native 4K material is becoming available, the VPL-VW500ES uses Reality Creation technology to upscale Full HD content for an incredible 4K experience. This Super Resolution feature means you’ll get the very best from your current Blu-ray Disc™ library, with fuller colour, greater clarity and more impact than ever before. The VPL-VW500ES is easy to operate, with a variety of control modes so you get the very best picture, whatever you’re watching. With a smaller optical engine than the leading 4K projector, the VPL-VW1000ES, its compact design also offers even greater flexibility for installation. to develop 4K SXRD panels and produce a 4K native picture with no artificial enhancement of pixels. The VPL-VW500’s optical engine and SXRD panels incorporate our TRILUMINOS Display technology to produce a much broader colour range, reproducing more tones and textures than a standard projector system. The result is greater purity, depth and realism. They have enhanced their Motionflow technology. ‘Combination’ mode uses their ‘Film Projection’ and ‘Motion Enhancer’, adding frames to reduce blur and maintain brightness in thrilling, fast-moving scenes. Cinema purists can choose ‘True Cinema’ to retain the original 24 frames per second. Drawing on optical technology developed for the VPL-VW1000ES, Sony achieved both high brightness (1,700 ANSI lumens) and high contrast (200,000:1 dynamic contrast ratio) in the VPL-VW500ES. So, you’ll see crystal-clear, bright, detail-packed images – even in well lit rooms. 4K digital drive panels minimise the space between pixels in every frame with an incredible response rate of 2.5-milliseconds. That’s much faster, and more stable, than an LCD TV and produces ultra-smooth, dot-free pictures with natural, fluid movement – whatever the action. As well as native 4K material, you can see your current Full HD Blu-ray™ or DVD movie collection upscaled for a 4K experience. Reality Creation is a Super Resolution technology that radically enhances Full HD content, even upscaling 3D movies for 4K. Drawing on the same technology used to downscale 4K material for Full HD, the VPL-VW500ES gives you a near native 4K experience with discs ‘Mastered in 4K’. It’s as close as you can get to the 4K-pixel resolution and expanded colour range of the original. The VPL-VW500ES can show up to 60 frames per second in 4K (at colour signal YUV 4:2:0 / 8 bit). It’s the new 4K industry standard and is much higher than the earlier 24p. The result is a smoother image with superior colour and realism. A smaller optical engine means the VPL-VW500ES is approximately 18cm shorter in length than our leading projector, the VPL-VW1000ES, so there’s greater flexibility for installation. Because the fan is positioned at the front, you don’t need to worry about wall space and room for air inhale/exhaust when you install. This helps maximize the throw distance for bigger projected images. A 2.06 motorised zoom lens and wide lens shift range of up to 85% vertical and 31% horizontal gives greater installation flexibility – even when the ceiling is very high. The VPL-VW500ES is compatible with many home automation systems. It has an RS232 interface, RJ45 control, and IR-IN terminal. A correction tool allows you to adjust the hue, saturation, and brightness of each colour to get exactly the picture you want. This feature remembers the position of the zoom lens. You can match it to a movie’s aspect ratio (including 16:9 and Cinemascope) and store the settings for a future viewing. Ensures the red and blue elements in each pixel are precisely positioned against green. Adjustments can be made by as little as 0.1 pixels for optimum clarity. Free yourself from cables and keep things tidy with an optional wireless HDMI emitter/ receiver kit. The VPL-VW500ES can wirelessly connect to your games console, Blu-ray™ Disc player and more, and upscales for a 4K experience with Reality Creation. To get the best from your projector, the VPL-VW500ES has a USB port for the latest firmware updates.